Scott Hamilton should be charged with urinating in public. Any police reading this please take action. Or are sycophantic supporters of govt racist propaganda outlets immune from the laws that apply to most NZ citizens? If Redbaiter manages to put me in the dock, then I intend to defend my action as a piece of performance art. 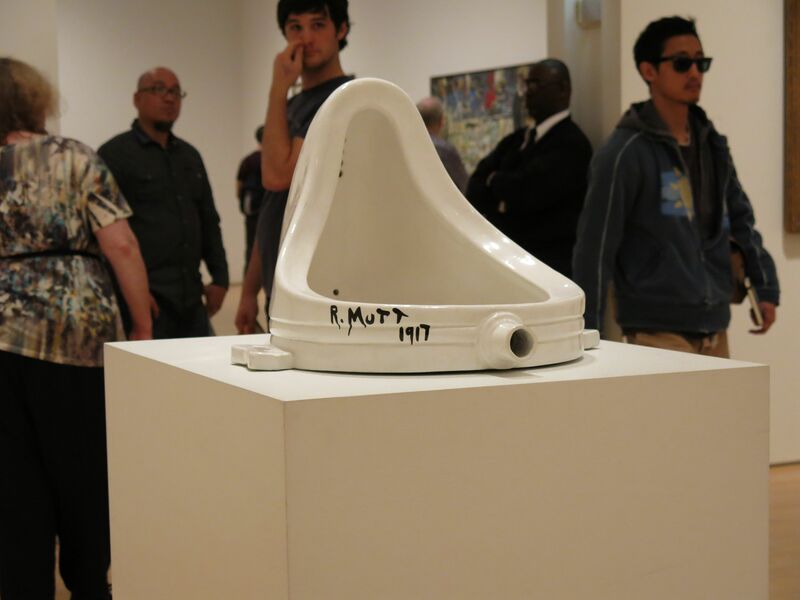 I shall urge the judge and jury to consider the fact that one of the most famous artworks of the twentieth century, Marcel Duchamp's Fountain, celebrates micturition. I might also discuss Jackson Pollock's drip paintings, and James Joyce's stream of consciousness technique. I'm not sure whether Redbaiter is responsible or not, but the geocaches Paul Janman and I placed close to Great South Road landmarks like the Obelisk have been visited repeatedly over the past forty-eight hours. I'm looking forward to discovering what visitors have left, in exchange for the maps, photos, old texts, toy soldiers and other stuff we stashed, and what messages they have written in our cache logbooks. Directions to the caches are available here (scroll down the page to the map, and click on the red triangles). Our geocaches are a contribution to the A Sense of Place exhibition, which is being held at the Papakura Art Gallery until June the 10th. Radio New Zealand has done excellent interviews with two of the other participants in A Sense of Place. Come on Maps - Redbaiter's got you this time! Desecrating that cromlech! Dont ya luv ya cuntry, eh?! Ya commie liberalistic anti Puke Man!! Duckchamp was a Kultiareed Mon e wouldna micatareate agina Te Rock! Ha!! Doochammpie nu iz kulcha far soore matey! You wait until they show up in your beloved Panmure, Richard! Actually, Martin Doutre has probably already ascended your local maunga, discovered a couple of modest-sized rocks disporting themselves on a pleasantly sunny ridge, and proclaimed them the Megalith of Maungarei! So Doutre will be no problem. I will piss on his statues and dendroglyphs: I spit on Doutre and Kim dot the Fat. I spit on them all I say! "They're all ----s out there!" hey Scott, check out this!